"My mom would never leave me"-this has been Mariah Dunning's motto, her compass, her belief. So when she glimpses her mother-who's been missing and presumed dead for the past two years-on the other side of a crowded food court, Mariah's conviction becomes stronger than ever. Or is she losing her mind? Her mother disappeared without a trace and, even without a body or any physical evidence, suspicion for her murder immediately fell upon Mariah's father, leaving both father and daughter ostracized from their close-knit community. One day, however, Mariah stumbles upon the fact that two other women have also disappeared recently from Lakehaven-and all three had the same name: Beth. 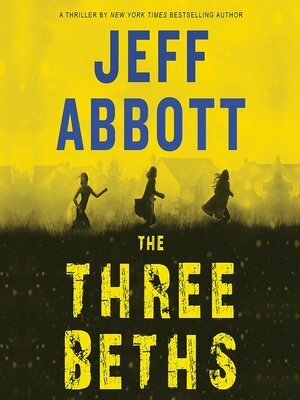 Is it merely an unlikely coincidence or is there a deeper, sinister connection between the three Beths? Mariah would give anything to find out what happened to her mother. But the truth may be worse than she could have imagined.